Please join us April 23 at 6pm in Palo Alto JCC to celebrate Israel's 64th birthday! Come celebrate Israel's 64th birthday by attending "Israel Innovation Showcase" at the Palo Alto JCC. This special event will include demos by exciting Israeli-founded companies, VC keynotes and extensive networking with the best and brightest of Silicon Valley. This is a unique opportunity to learn more about the exciting innovations of Israeli-founders' tech companies and to make valuable connections with key players in the industry. Hosted and organized by TEC Club , IEFF and JHTC with grateful thanks to sponsor Bank Leumi and the Palo Alto JCC. 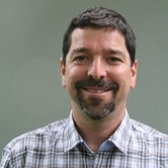 Oren Zeev will provide opening remarks on the current state of technology investing, the JOBS bill, Israeli entrepreneurs, and provide input from his experience on how to pick winning startups. Oren Zeev is a Founding Partner of Orens Capital and is focused on the internet and mobile internet spaces. Oren typically leads the rounds he invests in and plays a very active role in the companies he invests in. Oren currently serves on the boards of Chegg, Infolinks (Chairman), Duda Mobile (Chairman), Houzz, Crossrider, Tipalti, Younow and until recently Wibiya (acquired by Conduit). Oren is also a significant investor in Celltick and GT Nexus, and an early investor in Gogobot, Capriza, Spreecast and Bonobos. Oren was the lead investor in Audible (Nasdaq:ADBL, acquired by AMZN) and a significant investor in Cramster (acquired by Chegg). Between 1995 and 2007 Oren was with Apax Partners, where he headed the US tech practice and was a member of the firm's investment committee. Vlad Shmunis is one of the most successful Silicon Valley entrepreneurs of Russian origin. He was recently named as one of 25 technology innovators by the World Economic Forum in Davos. Learn how to bootstrap, make your company grow, get funded -- over $50M in total - by such top funds as Sequoia Capital, Khosla Ventures, DAG Ventures and Scale Venture Partners, and manage more than 300 people. Demonstrating a unique mix of technical vision, marketing and business acumen, Vlad is building this company to become the industry leader, and is willing to share his experience with you. Mark your calendars and join us on March 15th in Palo Alto for exciting evening featuring 5 startup pitches judged by top local investors, and keynote by Charles Giancarlo – leading PE investor and senior executive/board member of Cisco, Linksys, Avaya, Netflix, Accenture and Skype. Mark your calendars and join us on February 8th (Wednesday) in Palo Alto for a Fireside chat with Vlad Shmunis, CEO of RingCentral. Vlad is one of the most successful Silicon Valley entrepreneurs of Russian origin. He was recently named as one of 25 technology innovators by the World Economic Forum in Davos. Learn how to bootstrap, make your company grow, get funded – over $50M in total - by such top funds as Sequoia Capital, Khosla Ventures, DAG Ventures and Scale Venture Partners, and manage more than 300 people. Demonstrating a unique mix of technical vision, marketing and business acumen, Vlad is building this company to become the industry leader, and is willing to share his experience with you. Pitching is one of the best ways to get exposure and feedback for a startup, and if you're a founder in Silicon Valley there's no shortage of pitching opportunities at the hundreds of events that occur here each month. It's the sheer volume of events and tech-hectic buzz that make the valley an entrepreneurial mecca, but pitching too often and attending too many events can become a dangerous distraction, sucking away time from the more important job of building an awesome product. This means that founders have to be selective, choosing the opportunities will get them the best exposure to investors and honest, constructive feedback. With VC luminaries like Pitch Johnson, Tim Draper, Saeed Amidi, and Daniel Zimmerman as speakers and judges, the TEC conference is undoubtedly one of the best events out there. The emphasis on international startups, who are often pitching in the valley for the first time, draws a crowd that's eager and interested, and the quality of both the pitching companies and the feedback from the panel is of the highest order. The incredible roster of VCs and founders who attend the TEC Conference is testament to how deeply connected Stas and Anna are in the valley. But what's even more impressive is the lengths that Stas and Anna will go to help the startups who attend TEC. I've pitched at numerous events, but this was the first time that one of the organizers took the time to review the presentation before the event and offer feedback. And since Stas now knew and understood exactly what OpenSignalMaps does, he was able to make some great introductions at the event itself. Eminent speakers, judges, and attendees are rare enough as it is, but organizers that actually care about the companies that pitch are what make TEC that rarest of all things: a pitching opportunity that more than justifies taking a break from improving your startup's product. 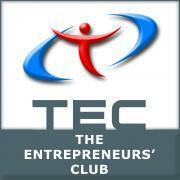 Dear TEC Club Members and Friends! Happy Holidays and Happy New Year! Best wishes to you and yours in the New 2012! We are looking forward to seeing you in the New Year. In addition to our signature "Silicon Valley Legend" speakers talks, we'll continue presenting TEC companies to top local and international investors. If you'd like to present your company at the next Startup Pitch ( March 2012), please apply at http://www.tecglobal.org/PitchingApp and send your executive summary to stas@khirman.com . In 2011 TEC has grown to a network of 5,500+ members, held over a dozen events in the Silicon Valley, San Francisco, New York, and Moscow. Over 40 local and international investors reviewed TEC companies – and we proudly announce that at least 4 companies got funding immediately after our events, while many more are in advanced negotiations – stay tuned for good news. We had an exceptional line up of speakers this year with the legendary Pitch Johnson, Founding Partner, Asset Management Company; Tim Draper, Managing Director; DFJ, Saeed Amidi, Founder, Plug&Play; Dave McClure, Founder, 500 Startups; Leonid Gozman, RUSNANO; Aleksander Mitrovic , Senior VP, Deutsche Telekom; Mike Cassidy, serial entrepreneur; Stan Chudnovsky, serial entrepreneur, Alexander Miroshnichenko, CTO, Virsto, and many more. For video recordings of our major events, please check http://www.tecglobal.org/video . We are honored to have your support and are looking forward to seeing you at our future events. We would like to express our special thanks to TEC corporate members - Deutsche Telekom, Virsto, Revvl, WilmerHale and SNR Denton for helping TEC grow and prosper. Mark your calendars and join us on December 6th (Tuesday) in Palo Alto for our signature full-day TEC Startup Conference! As always, TEC brings together entrepreneurs of Russian, Israeli, European and Latin American origin with Silicon Valley investors. The event will feature 15 cutting edge start-up pitches to the audience of top angel investors and venture capital funds such asDraper Fisher Jurvetson, Sofinnova Ventures, Trident Capital, US Venture Partners, Storm Venture, Partech International, TMT Ventures, NorthBridge Venture Partners, Fenox Venture Capital, Intel Capital, Artiman Ventures and many others. To see the partial list of confirmed investors, please go to: http://www.tecglobal.org/judges. You will be able to network and get guidance from our star keynote speakers: Pitch Johnson, the Silicon Valley’s legend and one of its founders, and Tim Draper, Managing Partner at DFJ and the inventor of a "viral marketing" concept in web-based e-mail that was instrumental to the successes of Hotmail, YahooMail, and hundreds of other businesses, and Saeed Amidi, the Founder and CEO of internationally renowned Plug-and-Play. The top industry entrepreneurs successful in creating, building and selling their companies will share their experience and knowledge during our evening panel discussion. TEC brings value to you and your company, don’t miss it! Siri equivalent for Android and other platforms. Magnifis Virtual Personal Assistance technology combines natural language understanding, speech recognition and personalized user knowledge. Our Assistant can answer questions and help with calendar management, reminders, messaging, local search, reservations, navigation and more, through a voice interface. AlphaFares is a disruptive travel company that offers deeply discounted airfare to leisure travelers. We have developed a patented technology that allows a seller of airline tickets to easily and precisely differentiate between business and leisure customers, enabling targeted airfare pricing. This technology does not have any drawbacks associated with the opaque distribution channels, such as Priceline or Hotwire, and has been very well received by the airlines. We are launching in March ‘12. OpenSignalMaps is the largest wireless signal crowdsourcing project in the world. Over a million users of OpenSignalMaps for Android have contributed data to help create global maps of cell phone and WiFi coverage. The data collected is being used to build a recommendation engine that allows users to find out exactly which network offers the best service for them at home, at work, and during their commute." AppsGeyser - convert web content into native mobile apps in 2 easy steps, distribute and monetize. MoWaiter is a single mobile and social network platform allowing restaurants and customers to interact more efficiently. Instead of a jungle of apps for each unique restaurant or chain, MoWaiter will be the unified solution from which users can order, pay, and receive suggestions and incentives tailored to their own preferences. WikiSeer is the world's first semantic ad platform for mobile display ads. WikiSeer increases display ad revenues by 300%. Our technology uses a combination of Summarization, Natural Language Processing, Linguistics and Machine Learning to improve ad revenues. WikiSeer is live with a select customers and producing revenues." Oomnitza products help companies run better by changing the way their people work. Companies are reducing costs and increasing user engagement by deploying our easy-to-use, customizable and intuitive enterprise applications that work stand alone or integrated with existing solutions. SoundOfMotion is a revolutionary venture specializing in high-precision sports performance monitoring technology for road and track cycling, mountain biking, alpine and cross-country skiing, snowboarding and running. Russian3DScanner is an affordable software that allows 3D-specialists all over the world to scan real-world objects in 3D using ordinary camera and a projector. You can make the model in several hours as precise as you would make it manually in several days. Pixowl makes Mobile Family Games. Our first game Doodle Grub has been installed 4m times in 6 months. SAEX is abbreviated from SAles EXchange. It is a perfect place to buy, sell, or exchange business contact information. We provide 100% accuracy of the business contact information and dramatically reduce cost for seeking this king of data. Ambiq Technology is a globally operating service provider and enabler of transportation, payment, and other services based on the Near Field Communication technology. Ambiq operates its TSM (Trusted Service Manager) and manufactures devices that enable NFC on legacy phones. Ambiq partnered with VimpelCom (Beeline) to provide transportation and payment applications in Russia. yaM is a web-based notepad for business meetings that takes the pain out of the process. Our tools for preparing, structuring and visualising the discussion will save hundreds of thousands of hours for business people every day. LUXIHOME is reinventing the definition of Home Automation bringing to market Smart Home as a Service (SHaaS). LUXIHOME SHaaS is a cloud-based software platform that enables users to remotely monitor home inhabitants (children, seniors and pets), well-being, and control home appliances. Noca has built a payment system that allows Merchants to start accepting payments online without having to get a Merchant account or getting PCI certification for their site. Additionally by offering an integrated low cost "Secure Check" system Noca is able to offer processing rates lower than other processors. On the Consumer side Noca is building a system where Users will be able to pay with a "PIN" as opposed to typing in full Credit Card information. trint.me is a software platform where users can express their true intentions (friendly, professional or romantic) for specific people in their Facebook network without fear of rejection or risking their current relationship. If there is a match of intentions, both people know about it privately. If there is no match, neither one knows about others’ intentions. Mark your calendars and join us on November 8th (Tuesday) in Palo Alto for our famous TEC Pitch! In addition, a large delegation of entrepreneurs from Russia is coming to meet you. The event includes a panel of venture capitalists, 10 min pitches from 5 pre-selected companies and extensive networking. If you’d like to apply for this and future TEC Pitch events, please complete http://www.tecglobal.org/PitchingApp form and send a note to stas@khirman.com. TEC meeting organised for Silicon Valley Russian-speaking entrepreneurs and Moscow-base Runa Capital partner Andre Bliznyuk.